THK Free Meal Centres serve up more than 55,000 freshly cooked free meals a year. 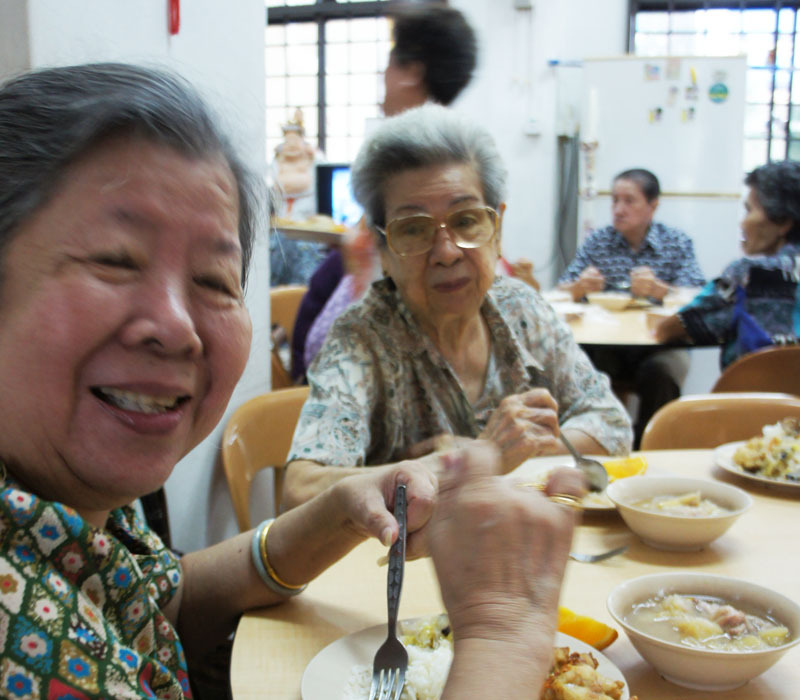 To date, THK has 4 Free Meal Centres, serving meals to the frail and needy in our community. These meal centres are unfunded and are operating on donations and fund raising efforts. 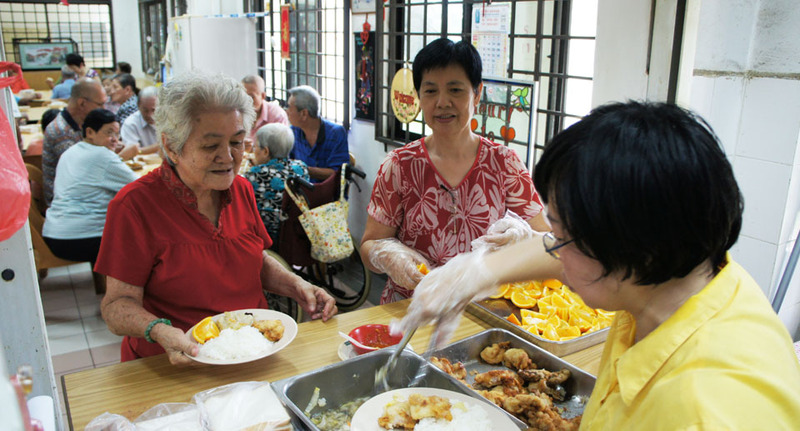 This is THK's commitment to ensure that the needy do not go hungry in Singapore. 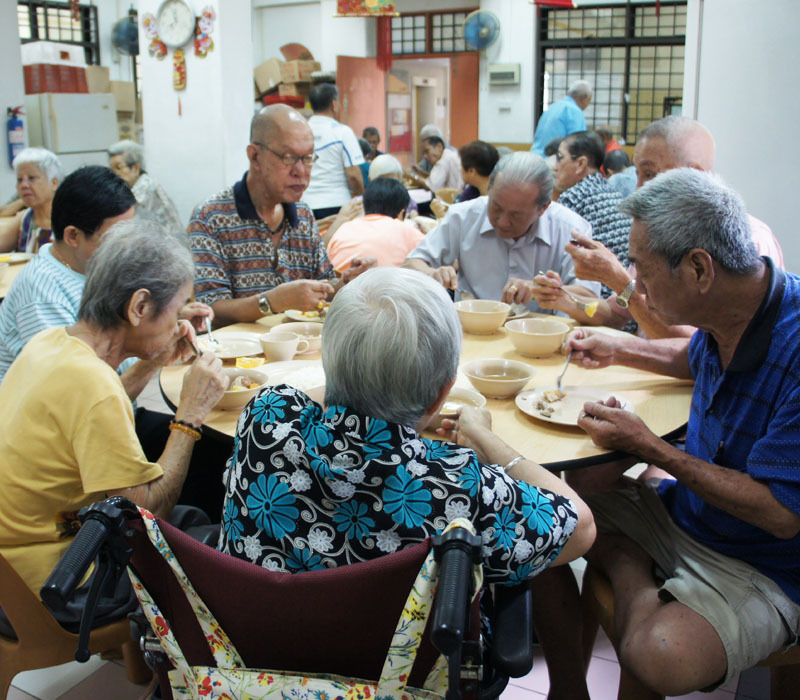 Healthy meals are served to ensure that our seniors' dietary requirements are met.